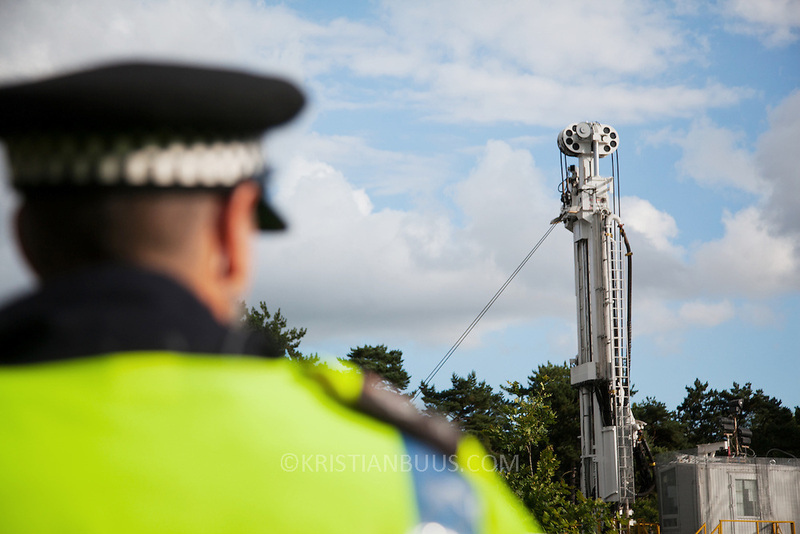 A police officer in a field of Christmas trees stand guard over the Cuadrilla frack drilling site. Anti-fracking activists join hands to surround the Cuadrilla fracking site. Thousands turned out for a march of solidarity against fracking in Balcombe. The village Balcombe in Sussex is the centre of fracking by the company Cuadrilla. The march saw anti-fracking movements from the Lancashire and the North, Wales and other communities around the UK under threat of gas and oil exploration by fracking.